Based out of Mumbai, India, Aditya Seth has been associated with the Indian media since 1986. He is an award winning independent Short & Documentary Film Maker with a sound grounding in Theatre & Music and has been involved in the making of Short Films, Documentaries & TV programmes in all genres for national as well as international audiences. He is an Academic & teaches Filmmaking & related media at the Under Graduate & Post Graduate level. He is an Academic Consultant for the University of Hertfordshire, UK, University of South Wales, UK & New Bucks University, UK. Aditya is a founder member of Vikalp: Films For Freedom & was the Treasurer of the Indian Documentary Producers Association from 2004-08. Aditya's versatility of talent is clearly visible in the over 500 projects he has designed and shaped as Producer/ Writer/ Director / Editor/ Consultant/ Voice Over artist/Anchor/Critic. His portfolio is defined by Documentaries, Corporate Films, News Magazines, TV shows, Tele- Serials, Public Service Announcements, Audio Visuals, Television Commercials, Live Events, CD Roms & Radio Production. Some of Aditya's critically acclaimed documentaries include Bahadur: The Accidental Brave A documentary on Nepalese labour migration to Mumbai and HIV, Youth and Future: The Indian Spectrum; Ek Paristhithi, a scathing indictment of the child labour problem in India (for Doordarshan); Learning to Live, a documentary on Life Skills Education for Unicef; Paritap, the first ever 30 minute documentary on the sexual abuse of children in India (for the Dept. of Women and Child Development, Govt. Of India); Toxic Trespass an in depth analysis of hazardous waste, it's abuse, impact & it's management; A Silent Revolution, a documentary for the SAARC Conference on Rural Sanitation for UNICEF and An Experience of a Hindu Temple: a documentary on the festival of Shivaratri for The Asia Society, New York. 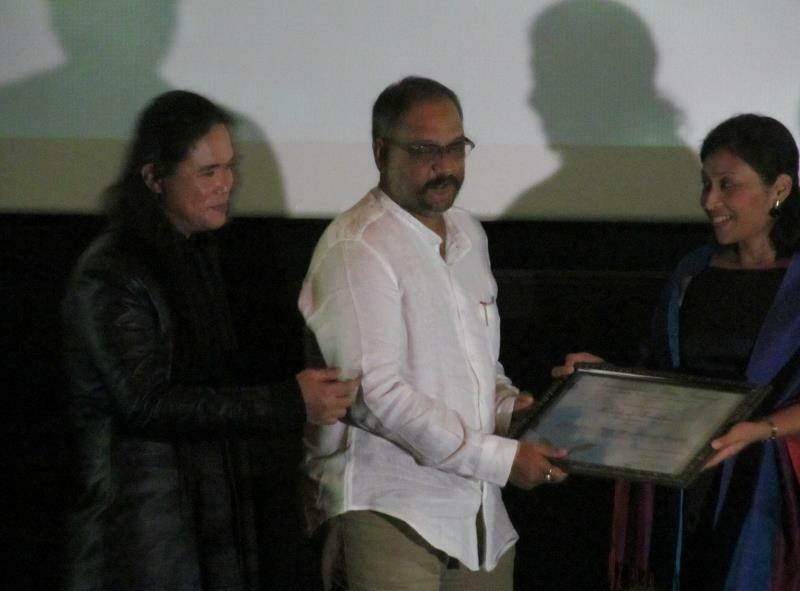 His documentary Bahadur The Accidental Brave on Nepalese Labour migration & HIV won the Best Documentary award at the Dada Saheb Phalke Film Festival. Won Documentary Short Award of Excellence at the International Film Festival For Peace, Inspiration, Equality, Jakarta, Indonesia, August 2012. Won Best Feature Film (Non-Fiction) award at The Indian Independent Film Festival 2013, Bengaluru. It has been selected & screened at various prestigious Film Festivals in India, Nepal, Iraq, Indonesia, Spain, Iran, Scotland. His work for Television includes Writing, Direction & Editing of Tele-serials & Soap-operas such as Koi Aur Indradhanush for Eagle Video Films; Kaamyabi for Adakar; Kya yehi pyar hai for BiTV; Kabhi Sautan Kabhi Saheli for Balaji Telefilms; Mime a Rhyme (a children's show) for Srishti Videotec; PEHLI KIRAN, a daily morning breakfast show, 'live magazine format' for Sahara TV; the thrillers Raaz & Kagaar for Sahara TV & Crime Patrol for Sony Entertainment Television & A Food Show entitled "Sanjeev Kapoor's Kitchen" for Food Food Channel. Adtiya has Written, Produced, Directed & Edited Television commercials, AVs, Promos, Corporate Films & Documentaries for Agencies such as Lowe Lintas, Mudra & Contract Advertising & for clients such as Maruti Udyog Ltd, CII, UPFC, Australian Fashion Framework, Red & White, Modi Entertainment Network, HLL, P&G, Sriram Honda, Pearl Polymers Ltd., Asian Sky Shop, TSN, Eureka Forbes, Jaipan, Sumeet, Indiantelevision.com, GTZ, INDAL, Raymond, Reliance, Beil, LIC, Pogo, Bayer Group, NCR, Zentrend, Aditya Birla Retail, Rich Foods, Event Capital.